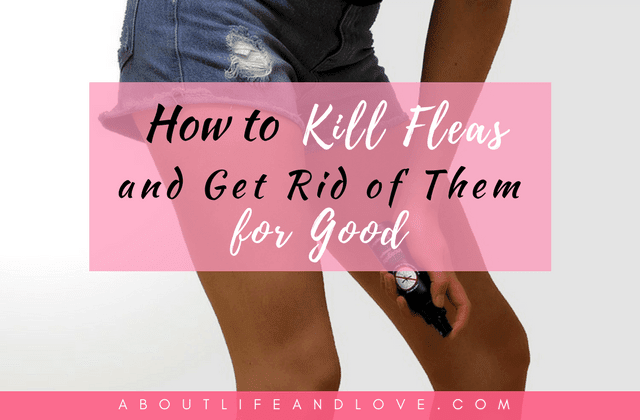 If you've been dealing with a flea problem for some time now, then you're sick of hearing about all those home remedies that don't work. Read more about reliable flea treatment at Fox Pest. Fleas aren't just annoying to pets – they also leave irritating bite marks on humans. It's time to find an effective solution that will rid you of these pests once and for all! Fleas often find their way into our homes via our beloved pets. There's nothing like a warm and furry walking buffet to transport fleas. Fleas 'fleaing' the scene of a cleaned home will find refuge on your dog or cat and once the area is habitable again, they'll jump right back in. What this means is that you'll need to take a multi-faceted approach in ousting the parasites. Happily, one or two days of concentrated efforts is usually all it takes. 1. Treat Your Flea Machines! Whether your pet picked up fleas from the great outdoors or from a friend, the first priority is keeping them from dropping off any more bugs in your home. Preferably around the time you do a preliminary cleaning, you should also give your cat or dog a bath with flea shampoo and apply any treatments as your veterinarian recommends. Check out this link for more tips on ridding your cuddly companion of those annoying pests. Your pets will welcome the relief and you'll get some peace of mind. Fleas don't show up on the basis of how much clutter or debris you have around the house. But a thorough vacuuming is a good way to pick up the unwanted tenants hiding out in your carpets. Empty your vacuum well outside your home. Apply a flea spray to any affected areas and see if that makes a difference. If you end up finding fleas in separate rooms, then you could have a bigger infestation on your hands than you realize. That's when it's time to bring in the big guns. There are plenty of options for DIY flea fogging treatments. Some professional services may also recommend fogging. But this method is highly inconvenient, despite being very effective. To ensure the most thorough flea removal, you'll need a treatment plan that attacks the issue on every level. The complete approach taken by a pest control professional will ensure that you remove all adult fleas and any eggs that may be sticking around. Fox Pest Control has the resources you need for thorough flea removal. Call the experts next time you have an unwelcome home infestation. I have to admit I know very little (read: nothing at all, haha!) about fleas, and so this post was very informative :) Have a lovely week! Very informative. Thanks for sharing, will come in handy if I ever need this. I'm so lucky that neither my dog or cat has had fleas, but this was packed with useful info. Interesting talk, Appreciate it very much.